We always keep EN and USA standards for our products strictly. Shorter delivery cycle;Proven technique;Perfect quality control system;Research and innovation of new textile technique;Customization according to customer's demand;Five star service. 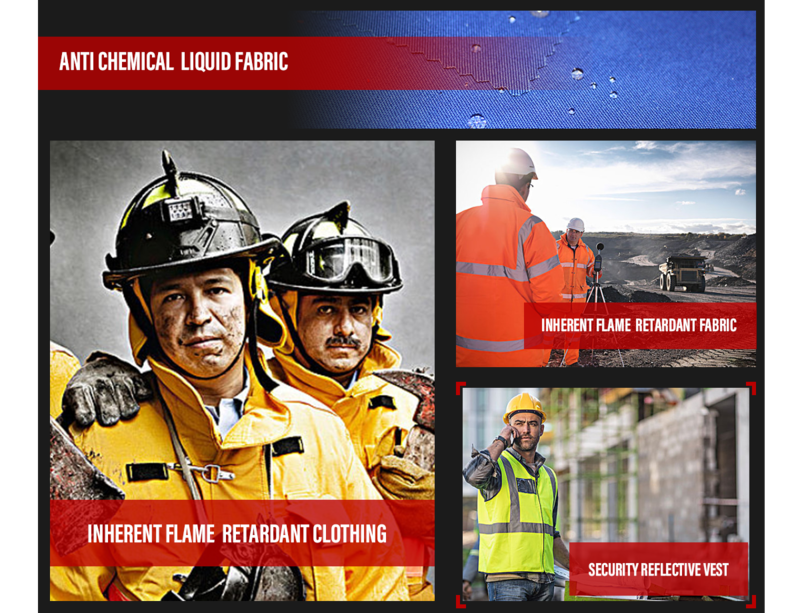 Xinxiang Yulong Special Textile Co., Ltd is a high-tech enterprise which specializes in researching and producing functional fabrics and clothes,and owns a dyeing and finishing factory and a garment factory. It is a complex integrating with researching, manufacturing and selling, and has the import-export authority. Our dyeing and finishing factory has two pad dyeing production lines, two finishing lines, fifteen dyeing vats, a complete set of advanced development lab and quality testing center, annual production capacity can up to 30 million meters, its scientific practice base of many junior colleges, FR fabric produced by us adopts high technology, soft handfeel, high color fastness, function well after 100 times washing, the formaldehyde content is less than 75ppm, non poisonous, no carcinogen aromatic substance broken out. 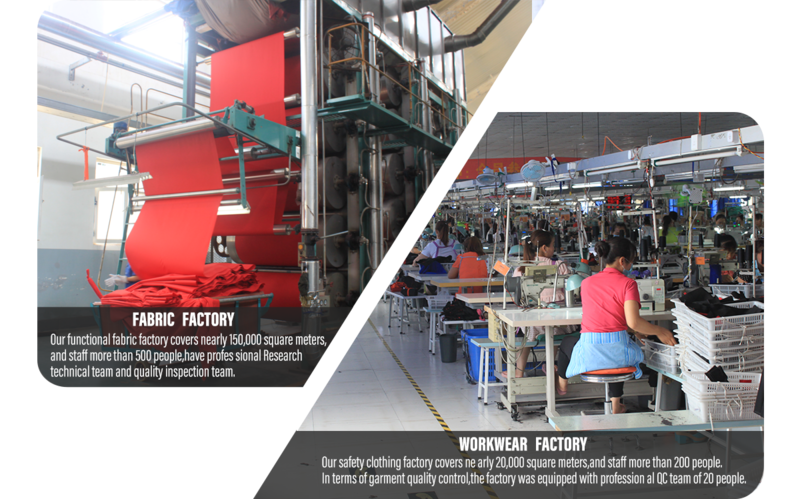 Our factory is the main production base of flame retardant fabric; meanwhile, is the biggest manufacturer produces fluorescent fabric in North of China. The fluorescent fabric produced by us is widely used in railway, security protective industry, and have reached EN471, ANSI SEA107-2004 standards. 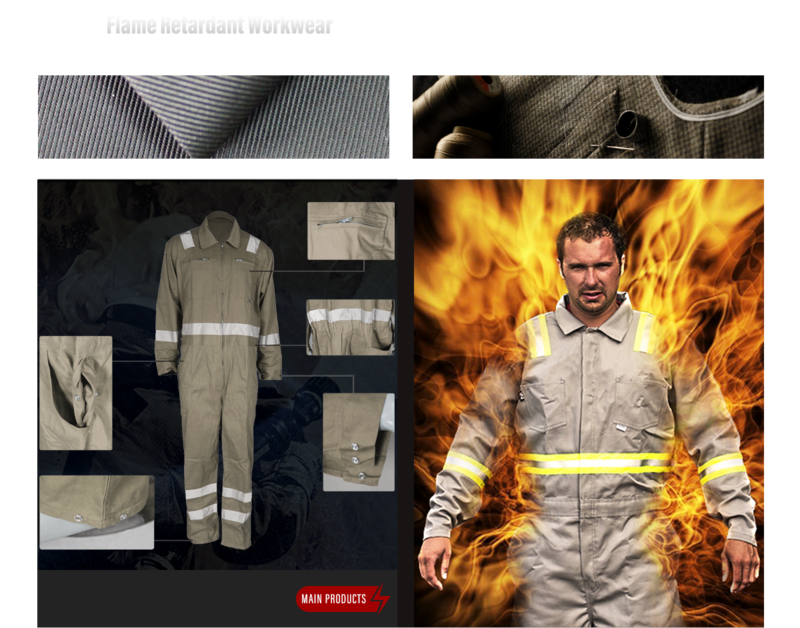 The main products of our factory are Proban flame retardant fabric, Pyrovatex CP flame retardant fabric, FR & arc proof fabric, fluorescent fabric, antistatic fabric, anti radiation fabric, Teflon fabric, anti-acid and alkali fabric, water oil proof fabric, anti UV fabric, anti-microbial fabric and multi-function protective fabric, which all reached EN ISO11611(EN470-1),EN ISO11612(EN531),ASTM D 6413,ASTM F1506,NFPA2112,NFPA70E,AATCC22,AATCC130,EN13034,EN368,EN1149,EN14116,IEC61482 standards tested by SGS,TUV,ITS,BTTG,MTL international authentication agency. They are wildly used in metal industry, power industry, forestry industry, railway industry, petrochemical industry etc.. Mature technology and stable products are all most popular in domestic and foreign customers, also used by military of UK and Ireland. 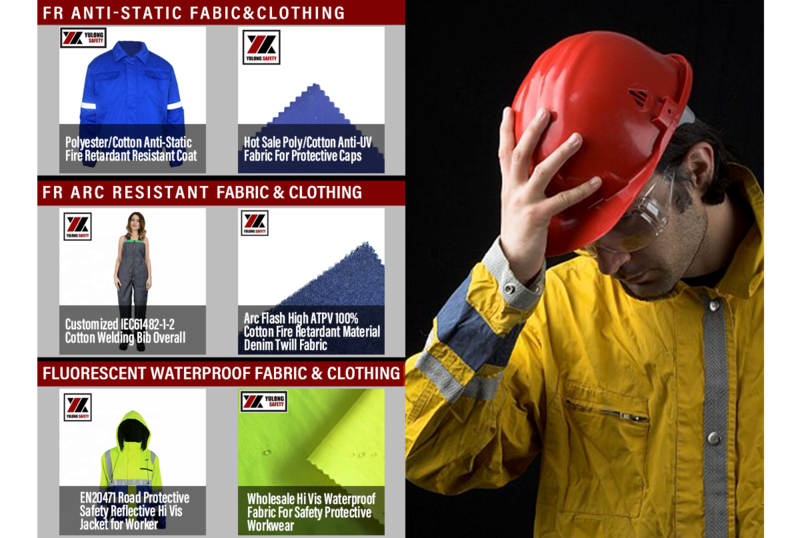 Our garment factory manufactures medium and high-grade protective workwears that mainly export to Europe and American market, production capacity can up to 50000-100000 pieces per month, which includes flame retardant workwear, high visibility jackets etc.. High quality fabrics produced by ourselves provide stable and enough supply to the garment production, and give the best service and competitive price to the customer. 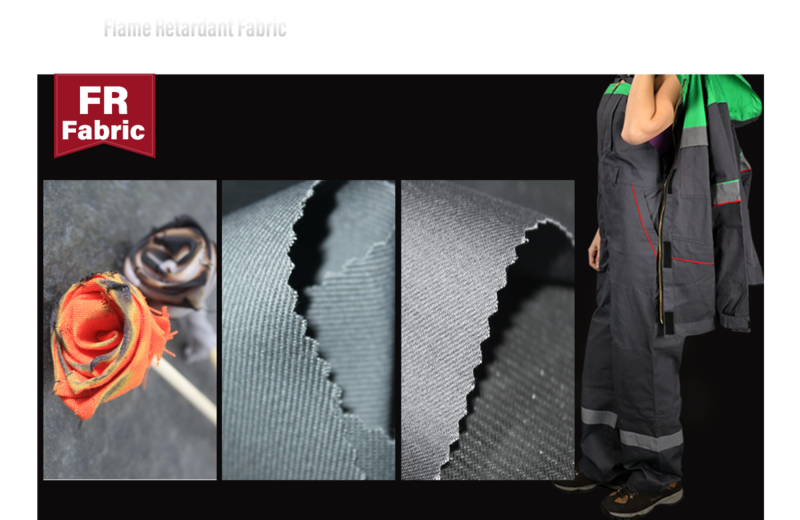 We always pay attention to the development of environmental finishing technology, and develop the fabric products, we desire to built new personal protective world together with you. Address: No. 103, Jinsui Road, Xinxiang, China.